Every day, police officers race into darkened alleys and deserted streets — and onto the doorsteps of hardened criminals, President Donald Trump said Monday. “They see the worst of humanity. And they respond with the best of the American spirit,” Trump told the International Association of Chiefs of Police in Orlando. “America’s police officers have earned the everlasting gratitude of our nation. In moments of danger and despair, you are the reason we never lose hope,” Trump said. 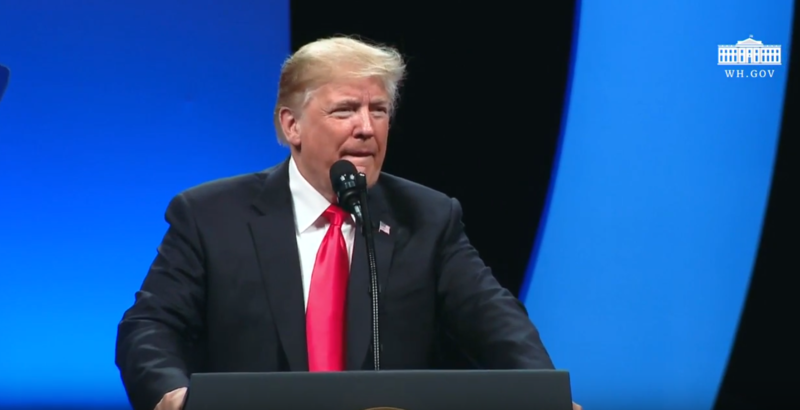 The president praised law enforcement during his speech at the IACP’s annual convention at the Orange County Convention Center. Roughly 3,000 people attended the ballroom event, which was closed to the public. Based in Alexandria, Virginia, the IACP bills itself as the world’s largest police-leadership professional organization, boasting more than 30,000 members in 150 countries.